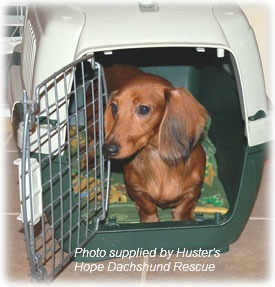 It's importance that you understand that dog crate training is a good way to introduce your dachshund to his new home. Some owners are not sure about the use of dog crates, they have the belief that it’s like a jail, but this could not be any further from the truth, when used correctly, the crate becomes a little haven where your dog can sleep and rest undisturbed. Dachshunds like all dogs are instinctively den animals, it’s in there nature to want their own space. Crates can be very beneficial part of your dog’s life it provides them a place where they can get away from other pets or young children and if they ever need to travel or stay at the vets they are happy and relaxed in their own space. The way that your dog is introduced to the dog crate training is important; owners need to use lots of praise, as it needs to be a positive happy experience. Here is a short video that was produced by The Humane Society which outlines crate training your dog. It is a safe secure place for your dog to be when you are not able to supervise him, it works well for puppies, who can get up to all sorts of mischief e.g. destructive chewing. Dog crate training is a very effective way to carry out toilet training for your dachshund, ensuring accidents are kept to a minimum, as it is impossible for most owners to supervisor their dog constantly. A dog crate offers your dog security and safety when traveling by car or plane. Most dogs enjoy having their own little comfortable haven where they can go and feel safe, secure and protected. Often your dachshund will retreat to their crate for a quiet snooze. There are a large variety of crates available from plain but sturdy wire crates, plastic/resin crates, and soft fabric crates. Some crates fold or collapse for storage, some people call them a pop-up dog crate. The wire crates are very durable and some even come with a divider which is handy for pups, they tend to be reasonably priced and suit many owners. It is an excellent crate to use in a warm climate as it has lots of ventilation. It’s also possible to convert these wire crates into cosy dens by purchasing a dog crate cover. The plastic/resin crates are sturdy and come in a variety of colors, many have metal doors some owners prefer the look of these. Soft crates are popular but are not suitable for a dog that is an aggressive chewer. A wooden dog crate will not only contain your dachshund but is often a useful attractive piece of dog crate furniture. These again are not suited to an aggressive chewer but excellent once your older dog is crate trained. There are also crates that come with wheels, these pet strollers are a great idea if you travel with your dachshund or if you go on long walks, particularly useful if your dog is old or has an disability eg arthritis. 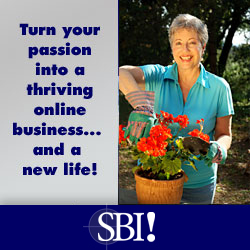 How to be successful with dog crate training? The best crate size allows your dog to stretch out, turn around and stand up comfortably, but not large enough for your dog to use one end as a toilet area - how to measure your dog so you get the right size crate - click here. If you have a small puppy, fill one end of the crate with a box or board, so he does not have room to go toilet. There are crates available that come with a divider which you can move as your puppy grows. If you are bring a new puppy home have the crate all ready, as this is the best time when he is new to the surroundings and you can start off fresh. Ensure the crate is comfortable with soft bedding and water, a blanket from his last home would be ideal. A soft toy or a favourite toy is good idea to put in the crate as you want him to feel happy and safe. Place the crate in a family area where your puppy can see what is happening and feel part of it, but still a little bit out of the way so the puppy can have a nap as young puppy’s sleep often. Start by putting him in for short stays, leaving the door open, a good time is when you know he is tired – after playtime and toilet time. Give lots of praise for going into the crate, perhaps a treat. Slowly extend the time he stays in the crate until you can go out for an hour or so knowing he is safe. Never leave him for a long time alone in the crate, a play pen may be a better alternative in this situation. Sit down outside the crate and talk and play with him while he is in the crate get him familiar with being in it. I suggest at night that you put the crate near you in the bedroom and after taking him to the toilet simply put the puppy to bed, give him a toy and shut the crate door telling him good-night. Never try to put him off to sleep if he is highly excited give him time to calm down first. It may take a couple of nights, but do not take him out if he whines just try to ignore him it may seem hard, encourage the use of the crate during the day and things will improve as he learns to accept it. 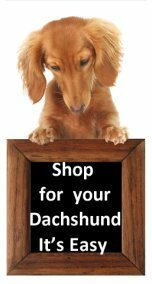 Ensure your dachshund has plenty of exercise/play time so at night he is tired also lots of quality people time outside the crate. Handy tip - sometimes putting a ticking clock near the crate or even soft music will help settle a puppy at night. Although they say you can’t teach an old dog new tricks this is not the case with crate training and with all dog training you just need patience and perseverance. Sometimes it is necessary for your dog particularly an older dog to spend time at rest or in a space that keeps him quiet and reasonably restrained, perhaps after an operation or recuperating from an injury. If it’s possible prepare him for the crate, this will be much easier on you and the dog, if not then you will need time to spend with him. If he has a special toy or better still a blanket that he loves start by putting that in the crate. Sit on the floor next to the crate, put him in and sit talking to him and perhaps rubbing his tummy, anything you know he loves. You want him to know when he goes into the crate and sits or lies quietly he will get quality from you. Perhaps even a treat when he sits quietly. Because he is an older dog you will probably know each other well, so it may not take too long before you can shut the door and sit and talk to him. Slowly over several days move away until you can sit and watch TV perhaps with him beside you in the crate. Increase the time slowly and perhaps go outside for a short time. Dog crate training is often easier than you think as the crate is like a den and your dachshund will enjoy using the crate. Never use the crate as a punishment.